Brian, a native of Maine, began his career in specialty running while in high school. What started as a summer job, quickly turned into a passion for inspiring others to live a healthy and active lifestyle. Growing up, Brian’s first love of running came from participating in summer and school track programs. His primary track events included the 800 meters and the mile. With other passions consuming most of his time during college, Brian’s running dwindled to a bare minimum. Upon moving to Arizona, Brian has rekindled his love of running. 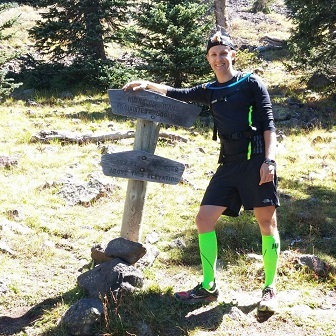 He has competed in numerous races over the last year, including some trail races. With encouragement from his fiancé, friends and family, Brian trained and completed his first half marathon this past fall. In addition to his roles at Fleet Feet Scottsdale, you will find Brian exploring new wine and chocolate combinations, attending local music concerts, as well as soaking up the Arizona sunshine. Brian hopes to inspire and motivate others as well as being a resource in the Phoenix running community.